The score tied, Jim LeMasters took the mound again in the eighth. He had closed out a Greensboro scoring threat in the seventh. Now he was trying to keep his Sumter Braves even in this Aug. 10, 1987 game. LeMasters walked the first batter and Greensboro went on to score two runs, enough to hold on for the win and give LeMasters the loss. "When you walk the lead-off man, you're asking for trouble," Sumter manager Buddy Bailey told the Sumter Item, after first praising his pitchers' work. LeMasters worked as a starter and reliever that year, his second in the pros, posting a respectable 3.62 ERA. He would have four more seasons in the pros before his trouble spots caught up with him, short of reaching the majors. LeMasters was taken by the Braves in the 10th round of the 1986 draft out of West Liberty College. He spent his first year at rookie league Pulaski, then his second at single-A Sumter. LeMasters made AA Greenville and had an unsuccessful one-game stint at AAA Richmond in 1989. In late May, LeMasters got touched up for eight hits and two earned runs against Charlotte. At that point, LeMasters was leading the league with a 2.15 ERA, according to the Rock Hill Herald. He would finish with a more-than-acceptable 2.19. That would be his last year in the Braves' system. The Braves sent him that December to the Royals in a four player deal where the Royals also got Gerald Perry and the Braves got two players, including 1991 World Series Game 1 starter Charlie Leibrandt. 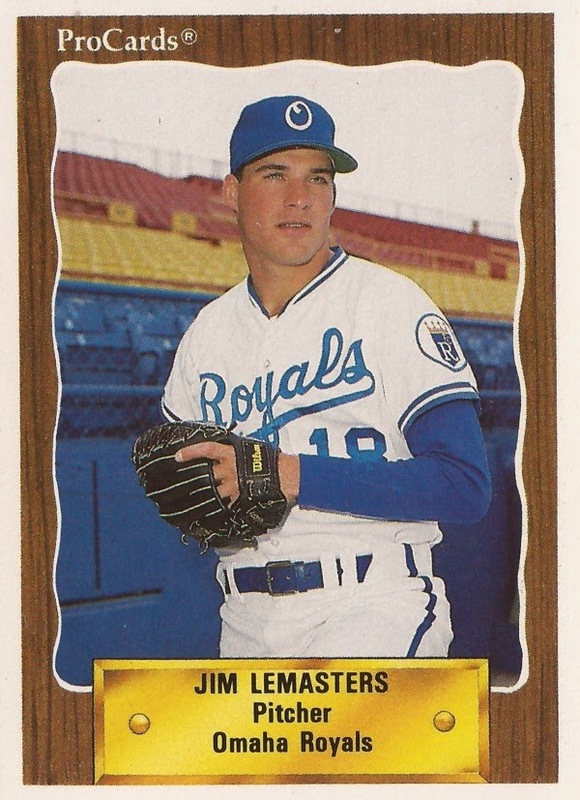 With the Royals in 1990, LeMasters spent the year at AAA Omaha, posting an 11-10 mark with a 3.16 ERA. His AAA ERA ballooned to 5.42 in 21 outings in 1991. That, with a stint at AA Memphis, and LeMasters' pro career was over, short of the bigs. More recently, LeMasters was inducted into his old high school Wheeling Park's Hall of Fame. He also returned for 2010 as a member of the Wheeling Park coaching staff.